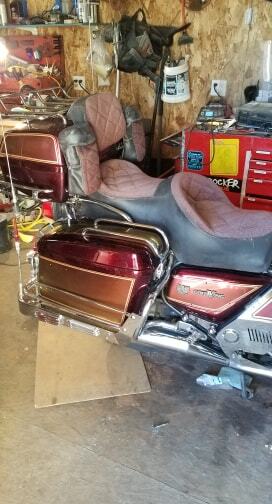 Steve Saunders Goldwing Forums > Forums > General Motorcycle Discussion Forum > Paint done Reassembly time. 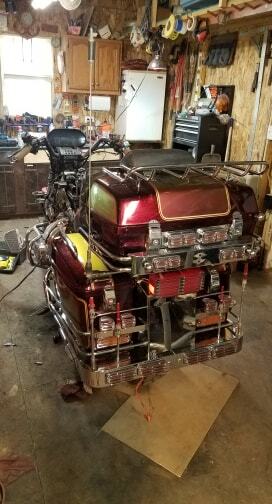 Rear half almost done. Chrome trim, badging, mudflap and brake light bars left.So nice seeing it come back together after a winter of working on it. lionelgo50 and trike lady like this. You are going to love riding with pride once you get it done. Very nice! That is looking good . Enjoy the rides. 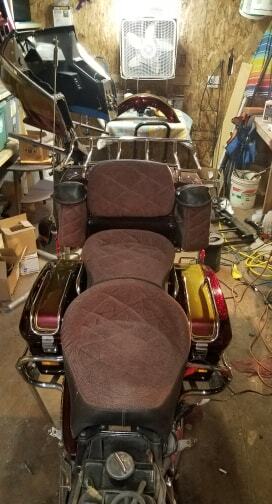 Looking Good, You'll have a great bike when finished and enjoyable rides. Looking good, and I paint for a living! Getting ready to do my '79. For survivor paint , it isnt bad. Already have my color picked out. Will have fairly minimal striping, but it will be done in paint, not decals. I painted mine on. $300 for new decal set. Good luck on your repaint and thanks for the compliment!